Bluetooth Car Stereo for your Car, Truck, Boat or Bike. Convenient phone calls and cord free music streaming. We all know it’s illegal to talk on your cell phone in your car or truck without a hands free system, but it’s also SUPER convenient and really cool to have built in Bluetooth in your car! 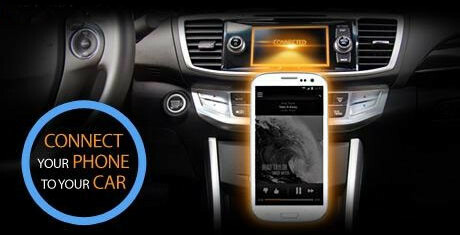 No more messing with headsets or wires, just get in your car and it becomes an extension of your phone. It’ll also cost you less than a single ticket! If your car has an easily replaced stereo, then adding a new bluetooth car stereo is the way to go, and we have plenty of those. You may have been told you have a car or truck with a stereo that can’t be changed or is very expensive to change. If that’s the case, we’ve still got a great universal add on solution that will add high quality, voice activate bluetooth to just about any vehicle. Also, now almost every car Bluetooth solution we sell also streams high quality music from your phone as well. Just start your car and music will automatically stream from your phone to your car stereo. Listen to iTunes, Pandora, iHeart, Slacker, your own music collection or any other source your phone can access. Even skip tracks and see song info and album art on screen! In many cars we can change your radio for a new one with seamless Bluetooth included, but for vehicles where changing the radio isn’t desirable, we can now add high quality Bluetooth with voice control and just a small stylish button added to your dash. 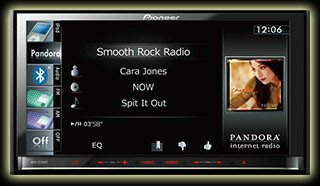 Either way, an OEM quality car Bluetooth installation can be your starting around $250.